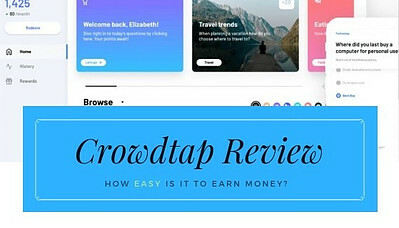 Crowdtap Review - How Easy is it to Earn Money? I first heard about Crowdtap a few months ago, but like most survey sites, I was skeptical. How easy was it going to be to make money and more importantly would it be worth my time? I’ll answer both of those questions in this post, but before we get into Crowdtap specifics, I want to first say that I only sign up for programs that are going to be beneficial to me and that are legitimate ways to make money (even if it’s just a little bit). Taking surveys and answering questions for rewards or cash is a great way to earn extra money, but sometimes survey sites can be complicated and time-consuming. I hate to waste my time and prefer easy tasks or questions. If I had all the time in the world, I would probably have a spotless house and be lounging around all day. But like most people, I don’t have a lot of time so the easier the surveys, the better. Upon signing up at Crowdtap, which was free to do… I filled out my profile and got started answering questions. I immediately noticed that the questions were incredibly easy and took about 2 seconds a piece to answer. So far, I was liking this format. Answer a question, get a few points. To the left, I could see my point tally going up with each question I answered. Crowdtap offers you thousands of questions every day. Spend a little time each day and you can quickly rack up a bunch of points. The premise of this survey site is simple… Give your opinion. Get rewarded. For every question that you answer, you will receive some points. The points vary but it’s very easy to accumulate them quickly. Once you have reached 1000 points (only took me 2 days), you can redeem them for rewards. 3000 points are equivalent to $15 cards and 4000 points are equivalent to $20 cards. As you can see, there are a lot of varied rewards that you can receive if you redeem your points. This is a terrific alternative way to save up for a Christmas or Birthday gift, or just to treat yourself. I prefer the Amazon card because you can find anything and everything on Amazon. 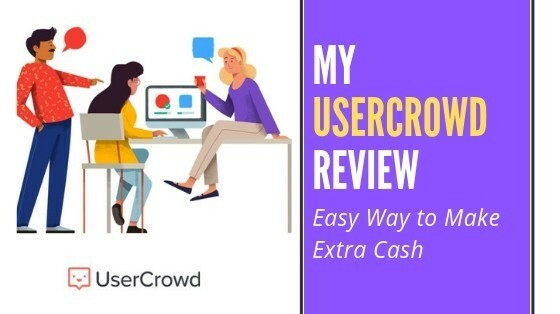 I recently wrote a review of another popular survey site called UserCrowd. These are very similar websites because they offer “pay” for completing extremely short surveys/questions. I would say the real difference between the two sites is that UserCrowd pays you with PayPal. You accumulate real money per survey, whereas Crowdtap gives you points to redeem. Also, it can be a little harder to get surveys with UserCrowd. You have to take the survey immediately or else it goes away. With Crowdtap, you simply log in and there are thousands of questions ready for you to answer. Do I prefer one over the other? Not really… they both have their pros and cons. I actually use both as well as a few others. By using more than one of these types of websites, I accumulate money faster. It all adds up! Earning extra money is always fun, but if it takes up too much of your time or is too complicated then is it really worth it? With Crowdtap, I noticed that not only was it easy and fun to complete the questions, it also didn’t take too much time. I can quickly log in and spend about 10 minutes answering questions and earn about 300 points in that time. It doesn’t take long to add up to 1000 points. While I’ve only been using Crowdtap for a short amount of time, I quickly earned points and was able to redeem them. The process was rather smooth and I received my reward in no time. Here’s a look at what I’ve received so far. 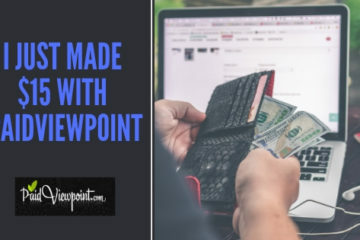 It’s not often that I find websites that are fun as well as an easy way to earn a little extra money, but Crowdtap is quickly becoming one of my favorite sites to tap into every day. I tend to log on to the site in the morning and spend about 10 minutes answering questions. Then I return throughout the day when I’m taking a break or just bored. By the end of the day, I have usually racked up about 400-500 points. And on average it takes me about 2-3 days to get to 1000 points ($5.00). So if you do the math, it is easily possible to make $40-$50 per month. Overall, I find that Crowdtap is user-friendly, not complicated, and a fast way to earn extra cash. I definitely recommend it to anyone who is looking to answer questions in exchange for compensation. It’s not going to make you a millionaire, but it can help you save up for something you want or a gift for a family member. I hope this review answered any questions you may have but if you do have any questions please feel free to leave me a comment below. 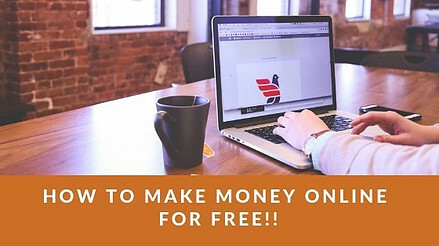 If you are interested in trying out other websites that can earn you extra money online, then check out a few of the ones that I use on a daily basis. These all pay money/rewards for taking surveys, completing tasks, or watching videos. They are also all free to sign up!